The move to end extension of H-1B visas would be bad policy and is contrary to the goals of a merit-based immigration system, the US Chamber of Commerce said. The reaction came over the Trump administration's reported plan that could result in self-deportation of around 700,000 highly skilled Indian technology professionals, academicians and research scholars in the US and result in their moving back to India. The H-1B programme offers temporary US visas that allow companies to hire highly skilled foreign professionals working in areas with shortages of qualified American workers. Since taking office a year ago, President Donald Trump has been cracking down on the visa scheme. 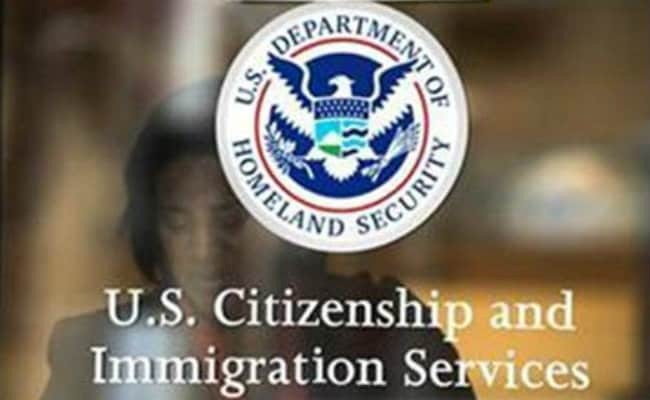 The proposal to curb H-1B visa extensions which was part of Trump's 'Buy American, Hire American' initiative that he vowed to launch during his election campaign trail, is being drafted by the Department of Homeland Security, reports said. 1. US Chambers of Commerce spokesperson said, "It would be tremendously bad policy to tell highly skilled individuals who are applying for permanent residency and have been working in the US for several years that they are no longer welcome." 2. Calling the visa policy merit-based and pro-American economy, the spokesperson said, "This policy would harm American business, our economy, and the country. Further, it is inconsistent with the goals of a more merit-based immigration system." He was responding to reports that the administration is discussing a move to curb extensions to H-1B visa holders who have completed their two-three year terms of H-1B visa and who have been receiving extensions because of their pending Green Card application status. 3. Hoping that the administration immediately rejects the proposal, Indian American Congressman Raja Krishnamoorthi said, "I fully support efforts to reform the H-1B system, and while our priority must continue to be improving advanced training for our domestic workforce, ending H-1B visa extensions would kneecap our economy and encourage companies to further offshore jobs, instead of making those investments here." 4. Krishnamoorthi further underlined that the hundreds of thousands of families will be adversely impacted, "It would also tear the families apart and hurt businesses here," he said. 5. Emphasizing that the US is currently facing a skills gap of over six million jobs, and companies are struggling to find talent to fill these open positions, Krishnamoorthi said. "Educators and employers need to be working together to ensure that we are developing the skills at home in America to fill the job openings domestically, both today and in the coming years," he said.